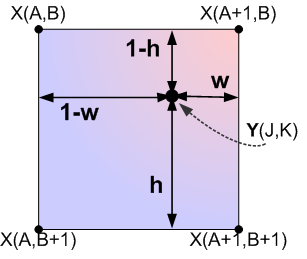 Before we proceed with bilinear interpolation and its applications in image processing, let’s review some high school algebra. 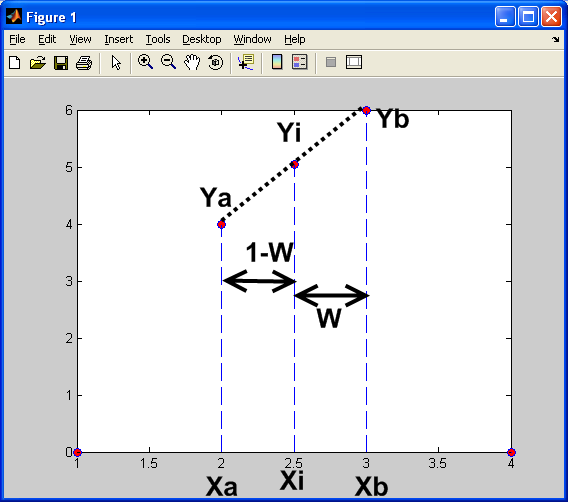 As the for the weight, W, we can solve this by assuming that we want to insert equally-spaced data points, between and . So, for each data point, and . Using the formula above, we can create a simple loop that calculates W, (1-W), and for each . Please refer to the diagram shown below for a visual explanation. 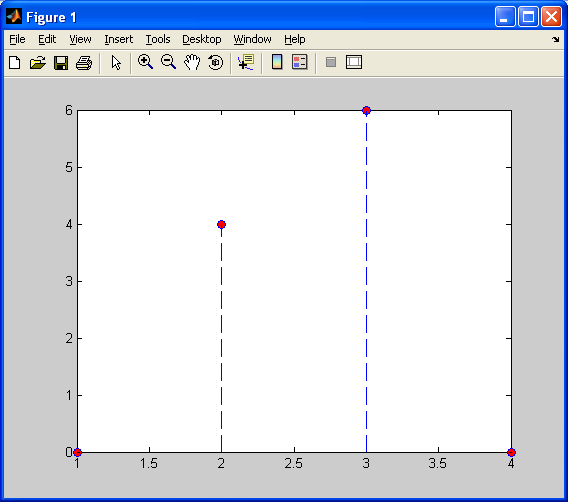 In the following image, the IMAGESC function in MATLAB was used to make the smooth transitions more noticeable. Please note that using IMAGESC instead of IMAGE will take a grayscale image, and dipslay it using a colormap rather than a set of gray levels between black and white. This is referred to as “false coloring”, since the original image does not contain any color data, only grayscale intensity values. For starters, there is a smooth transition between distinct pixel values. When upsampling by a small factor, we can see a “grid” of pixels linearly changing colors. When upsampling by a very large factor, we get a very smooth gradient. This comes at the expense of a more complicated algorithm, and a slight loss of sharpness, as demonstrated below. 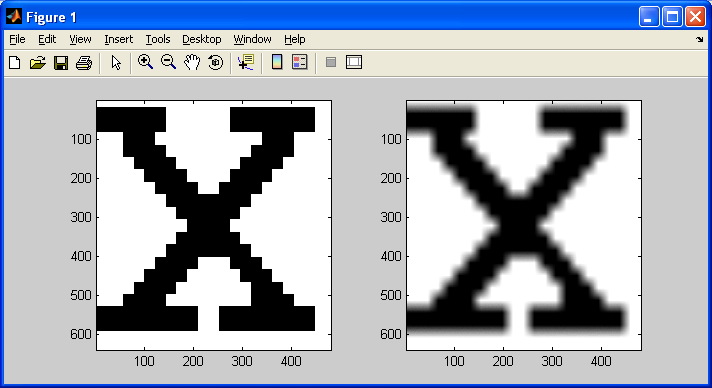 Notice in the above images (NN on left, BLI on right) two important observations: the image on the left has sharper edges, but the majority of the image is pixelated and “blocky”, while the image on the right has blurred edges, but the majority of the image is smoother and general looks better. This is even more pronounced with a source image with only two intensity values (eg: black and white) which is being upsampled by a large factor. As noted in the previous subsection, this leads to aliasing, (jagged edges, an artifact introduced by nearest neighbour interpolation), but not when we use bilinear interpolation. In this case, we aren’t concerned with sharp edges in our output image – we would actually like to make them LESS sharp, taking advantage of the artifact which bilinear interpolation introduces – blurring. There are advantages to each of these algorithms beyond the simple tradeoffs between code simplicity and speed, depending on the type of data you are working with (ie: photographs vs simple bitmap images). This should be kept in mind when learning any new techniques in image processing. Thanks for your article, it is very useful. Thanks for such a wonderful article..precisely written..and easy to grasp..